They say fortune favours the brave. We say adventure tours favour the brave! Age does not matter at all. All you need is a brave heart to go where very few dare to venture with the adrenalin flowing through your veins as a potent combination of fear and thrill in perfect harmony. Today, young adventurers are seeking new places , new adventures and even newer experiences. Living in the internet age has made it all simple for all of us. At Wings Travels, we have studied locales that can offer you bountiful options. Be it staying inside the Grand Canyon for a week, or for that matter, cycling through France on bicycles, we can work out the ideal vacations for you. 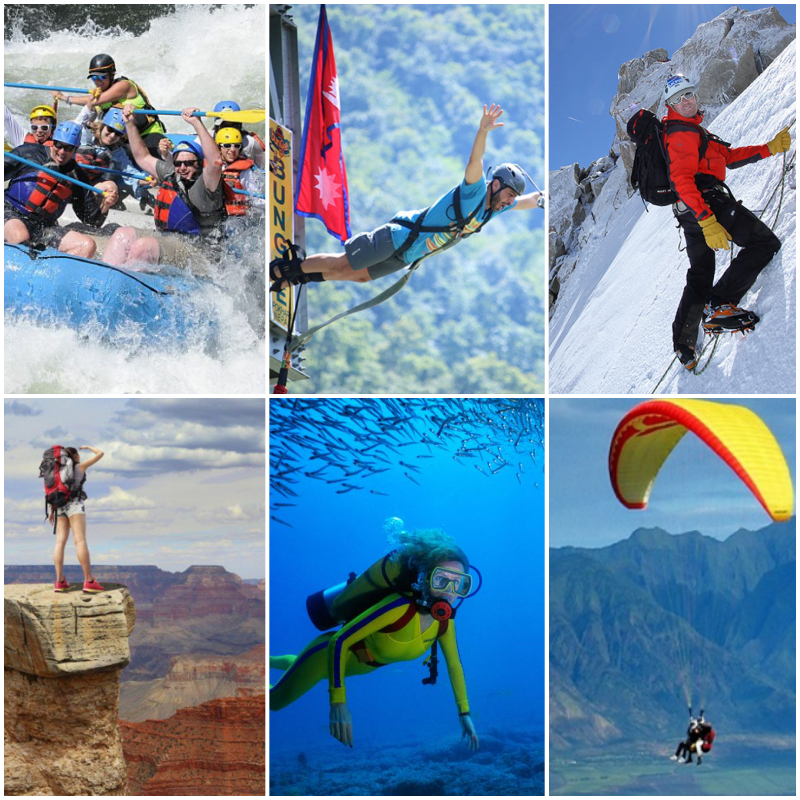 Of course not to forget water rafting, para gliding, air ballooning, underwater diving. You name it and you can consider it done!